Pre-release Album Review: Paint The Sky by top contemporary instrumental artist Bradley Joseph, composer, soloist and professional career musician with Yanni and Sheena Easton. If you are a fan of multi-platinum concert and recording artists Yanni and pop vocal star Sheena Easton there is a good chance you also admire the music of leading composer and multi-instrumental artist Bradley Joseph. 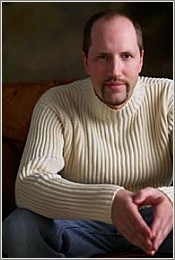 Bradley Joseph has enjoyed a successful solo music career of his own for years, with many impressive achievements including ranking in Sirius Top 40 Radio Charts, with over 1.5 million radio plays each month, plus attaining #1 on Amazon, #1 on iTunes, and 25 weeks on the Billboard Charts. The career musician Bradley Joseph is the Robbins Island Music Label founder, and was voted Outstanding Minnesotan of the Year, yet these are just several highlights during his illustrious career. These achievements as a solo artist are in all in addition to sharing the stage with music celebrities Yanni and Sheena Easton for over a decade, touring with pop vocal star Sheena Easton as her co-music director for 5 years. 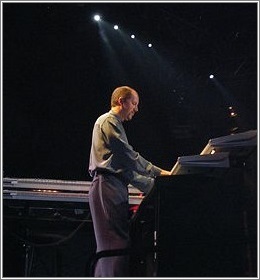 Touring with Yanni for over 6 years, Bradley Joseph replaced John Tesh as the feature keyboard performer and soloist during Yanni’s Ethnicity 2003 World Tour, and keyboardist in the multi-platinum selling CD and DVD titled Yanni – Live At The Acropolis. This album alone sold over 7 million copies worldwide, plus the video sold over 1 million copies to be top seller of all time, second only to the Thriller Video by the late Michael Jackson. Bradley Joseph has an exceptional new age, piano instrumental album titled Paint The Sky, ready for official release at his website and major online music retailers on April 4, 2013. After receiving an early demo recording I am pleased to be the first to provide an album review and tell you about this special new release knowing Paint The Sky is an exceptional instrumental album guaranteed to be a popular hit among a wide audience. Paint The Sky begins with an exciting song titled Inside the Stars, moving to a more reflective Secret of the Sun. Rather than a complex analysis of the 13 songs an accurate description is best expressed by the near even number of songs with upbeat melodies and lively rhythms, with the balance centered by a light, casual relaxed atmosphere. All piano with instrumental pieces are brilliantly poised by the cinematic feel, with importance given to melodic rhythm and phrasing. Aside from describing the album in formal terms, Paint The Sky is simply a significant new album arrangement by one of today’s top instrumental artists guaranteed to be a real crowd pleaser. One can’t talk about Bradley Joseph without mentioning Yanni and Sheena Easton, both of which are music celebrities recognized for their selection of the highest caliber artists for their popular studio albums and concert tours. In this sense I may be stating the obvious by saying Bradley Joseph is clearly an outstanding instrumental artist. Pointing out the significance of his music career however does offer a better perspective of how special Paint The Sky really is. Bradley Joseph also has audio CDs and DVDs specializing in relaxation and behavioral music for pets including canines and felines. The benefits of music therapy are in fact supported by the veterinary profession, so if you are interested in providing therapeutic music for your pet visit the store section at his website. Along with the popular pet therapy music CD and DVD collection there is a section at his website dedicated to specialty albums including Holiday Music, Popular Cover Songs, four CD nature sounds collection, piano sheet music and more. 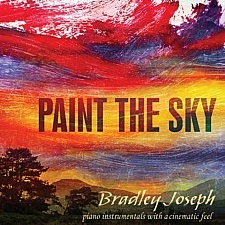 The 13 songs on Paint The Sky: Pianist Bradley Joseph – Original piano instrumentals with a cinematic feel are: Inside the Stars, Secrets of the Sun, Into the Big Blue, Your Eyes Say Goodbye, In Dreams Awake, Rainbow Fields, I’ll Wait For You, What A Time It Was, The Edge of My Heart, Brave New Day, Light Through the Trees, Spirit of the Calm & Remembering. 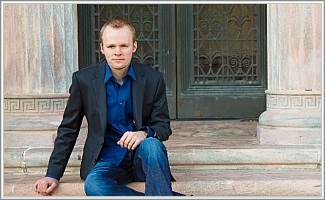 Visit the artist at BradleyJoseph.com for audio CD albums, mp3 downloads, piano sheet music, and much more. 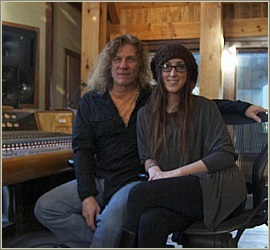 Prior to the April 4, 2013 release date pre-order Paint The Sky at Amazon.com. Photo and cover courtesy bradleyjoseph.com. Echoes Of Love by Omar Akram: The Recording Academy has named Omar Akram a 55th GRAMMY® Award-Winner in the Best New Age Album Category for his album Echoes Of Love. Selected top album out of 6 albums total in the New Age Music Category (#30) a Music Award was presented to Omar Akram. The recipients in all 81 categories of this prestigious music award were ultimately determined by voting members of the National Academy of Recording Arts and Sciences (NARAS). 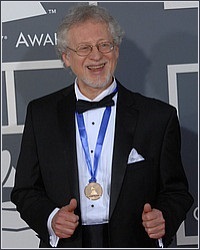 Omar Akram won the GRAMMY® Award in the Best New Age Album Category for his album titled Echoes Of Love. Last year’s televised live 54th Annual Awards program reported 39.9 million viewers worldwide. This year’s prime-time live awards presentation with a long list of popular celebrities is expected to be another record breaking year for television viewership. 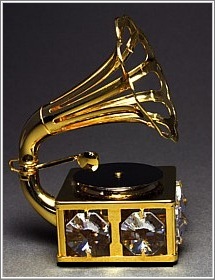 I have interviewed a number of GRAMMY® Award/Nominated artists and written album reviews about their albums over the years. If you are new to this music blog, on my main pages you can find more information about artists in this year and past years award competition in the Soundtrack, Americana, Instrumental, New Age, and World music genre categories. To sample or purchase Echoes Of Love visit the artist at OmarMusic.com. 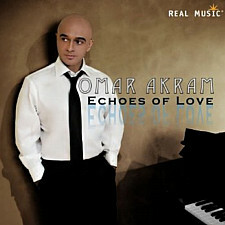 Visit the record label RealMusic.com and find Echoes Of Love at Real Music online store page for Omar Akram. 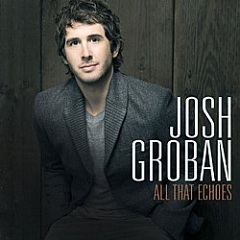 To view the complete list of award-winning artists and their albums in 81 Best Album Categories visit Grammy.com. Cover art and photo are courtesy realmusic.com & Big Stock Photo – AnmFoto. 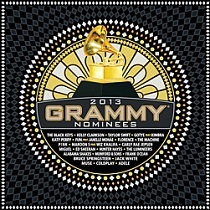 Rumbadoodle by Nominee Arun Shenoy: GRAMMY® Nominated Album for Best Pop Instrumental Album in the 55th Music Awards. With the 55th GRAMMY® Awards scheduled for February 10, 2013, it will be exciting to see if the world fusion album Rumbadoodle by Nominee Arun Shenoy is presented with a prestigious music award in 2013. This release with 11 songs is named by a wide range of ethnic styles integrated into every song. 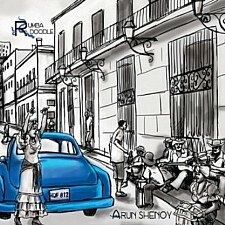 Rumbadoodle is a debut album Arun Shenoy produced from the sound variety of Gypsy Rumba Flamenco music, and a variety of instrumental styles like pop, rock, new age, and world music rhythms. Given the wide ranging diversity it is hard to imagine one defining sound to accurately describe this nominated release but as it turns out Rumbadoodle neatly converges into one exceptional album. Special note: Arun Shenoy is donating 100% of the proceeds from Rumbadoodle album sales to an education fund for the underprivileged in India. The 11 songs on audio CD or mp3 are: Rumbadoodle, My Ballad Days, Prance, Rock and Rigmarole, The Violin Song, Fireflies, Blue Sky Happiness Pt. 1, Blue Sky Happiness Pt. 2, Sleepy Town, Wanderlust in Keys & Rhythm of the Sun. 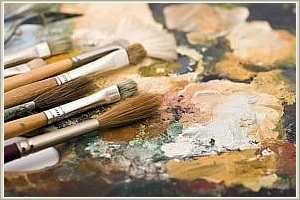 Visit the artist at ArunShenoy.com and find Rumbadoodle at Amazon.com. 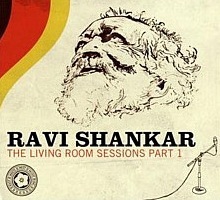 Album art is courtesy arunshenoy.com. New Acoustic Album by Gandalf in 2013: Pre-release music review for Dreamweaver by electronic and instrumental artist Gandalf. If you have been an enthusiast of electronic and instrumental new age music for the past 30 years, then you know there are a limited number of orchestral musicians who convey the picturesque imagery of their compositions better than the legendary, Austrian born artist Gandalf. 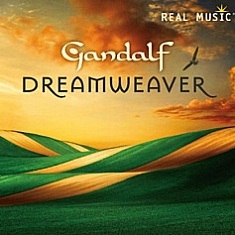 Dreamweaver is a new acoustic album from Gandalf on the Real Music Label. 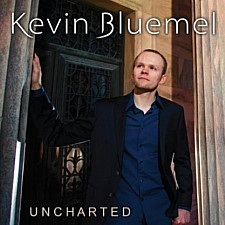 Scheduled for release on March 12, 2013 the hour long recording of 9 songs is performed by a select ensemble of four instrumental artists. While sampling Dreamweaver it became clear Gandalf artistically works his magic on his newest project in superior fashion. This is what I had anticipated, however the musical brushstrokes in this composition are chosen from a lighter palette of colors that ultimately prove to be a representation of peaceful serenity. Gandalf has regularly used electric and bass guitars in rock opera style fashion to represent deep illustrations, but Dreamweaver is elegantly portrayed by lighter instrumentation, which presents a whole new tone and atmosphere for the artist, as for the listener. The four person ensemble convey a more natural sound with importance given to lighter touches of acoustic guitar, cello, flute, piano and drums. Gandalf is admired for instrumental creations born of brilliant imagination, and this is unchanged. The beauty of Dreamweaver is surreal music qualities crafted in a more personal, naturalistic style. The four person ensemble include Gandalf performing acoustic guitars, piano, and percussion, Merike Hilmar cello, Karin Leitner flutes and woodwinds, and percussionist Christian Strobl. 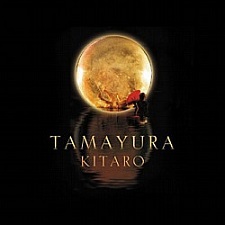 The 9 songs on Dreamweaver are: Into The Rising Sun (Part 1), Into The Rising Sun (Part 2), Reaching For The Sky, Between Ebb And Flow, Dreamweaver, Shining Like A Jewel, Life’s Blossoms, Written In The Stars (Part 1) & Written In The Stars (Part 2). 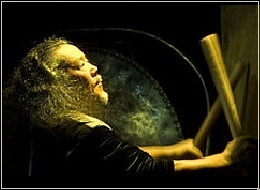 Visit the section for Gandalf at RealMusic.com. Prior to March 12, 2013 album release date sample and pre-order the audio CD or digital downloads for Dreamweaver at RealMusic.com. 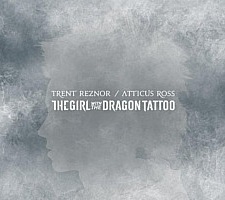 Cover art courtesy gandalf.at & Big Stock Photo – HelleM. Sarah Brightman – One Day Like This & Angel song downloads. News update for Dreamchaser and concert tour for 2013. Sarah Brightman fans have surely heard the news her new Dreamchaser studio album and North America Concert Tour for 2013 have been rescheduled, but fans and people new to the classical crossover music superstar are able to sample and purchase two early single song downloads, and now pre-order Dreamchaser. The song One Day Like This is the second song single, and first song download Angel are available at iTunes, Amazon and at the SarahBrightman.com website. 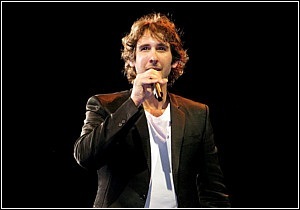 You can also find current concert schedule information, which begins September 13, 2013 in the Canadian province of Hamilton, Ontario. The top-selling soprano’s Dreamchaser album is now scheduled for release on April 16, 2013 so we won’t have to wait much longer. Judging from the first two song singles One Day Like This & Angel, it will definitely be worth the wait! 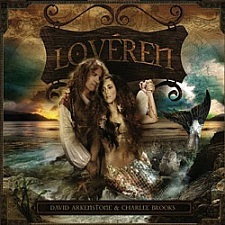 Visit SarahBrightman.com for news updates, concert info, merchandise, and purchase singles One Day Like This & Angel. When you join her free forum and community, members get privileged access to exclusive news updates, videos, and newest music samples. For people new to the superstar, here is the official introduction page video for SarahBrightman.com. The date of January 1, 2013 began a brand new year on our annual calendars naturally, but as the website host of a popular music blog, January 1st begins the period in time when independent artists, promoters and producers begin sending me their newest albums for review each year. In 2012 I received nearly 200 CDs for review consideration, so from my point of view I really can say it was an outstanding year with some of the best music available at the time. I wrote 45 reviews but would like to have written more. If 2013 is anything like last year there will be hundreds of brand new albums to sample and review in the categories of electronic, instrumental, new age, progressive rock, and world music. Plus there are many subcategories I review over the course of a year too like contemporary instrumental, neo-classical, ambient, piano, relaxation, chill out, groove and vocal albums. The album cover artwork shown below is a sample of the newest music CDs sent to me for review consideration so far in 2013. More will be added to the list, but from the albums below I select new music for my pre-release album reviews and news articles, along with several best album publications in various categories at the end of the year. It’s already shaping up to be another excellent year for some of the best new music produced by some of today’s top electronic and instrumental artists. In the months ahead some albums below will make the top 10 radio charts, top 100 radio charts, and other honorable mentions at various music blogs. Some new albums shown below will be nominated for an award or prove to be award-winning albums as the year progresses. I will also review many before they are released in music stores, by a pre-release review if an artist sends to me early so check back as the year progresses to sample the newest songs. 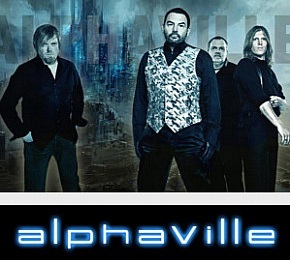 For now find reviews for new albums in 2013 available on my main pages if you would like, and find new music releases at Amazon.com. Big Stock Photo –Rkasprzak.